Missouri Shar-Pei Rescue View other Shar-Peis for adoption. Hunter is quite the looker! Hunter is a handsome guy who enjoys discovering the world around him. He is looking for that special someone that is willing to give him one-on-one attention and training. 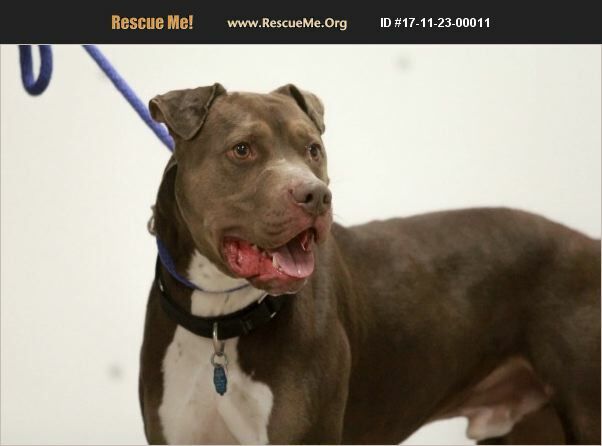 Hunter will do best in a quieter, kid-free home as he is uneasy around new people and will need a patient environment. He is very food motivated and is happy to work! He knows sit and down and learning more everyday. Hunter enjoys going on walks and chewing on his chew bones. He currently weighs 60 pounds and is a 2 year old Shar-Pei / Pit Bull mix. With a proper introduction, Hunter does well with other dogs but prefers to be a solo dog. Hunter is a loyal side kick. Interested? Please visit http://bit.ly/1m78fU5 to complete our quick online adoption application from your computer or desktop (not a phone). Hunter's adoption fee is $200 & includes: Neuter, vaccines, microchip, deworming, a heartworm test & an offer of pet healthcare insurance for 30-days from adoption date. Thank you!